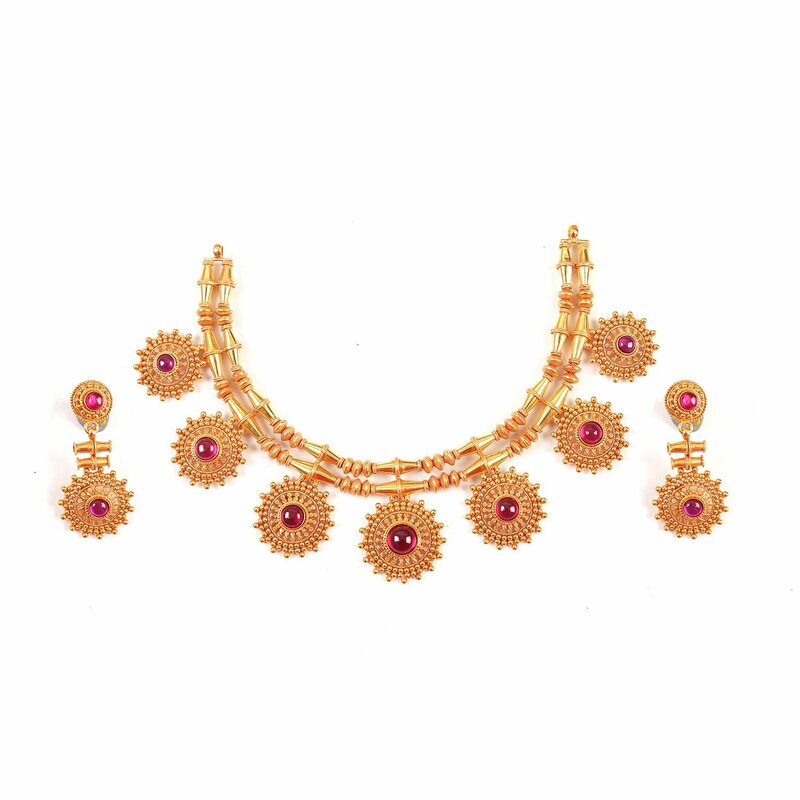 This exquisite gold necklace is decorated with an intricate series of sinuous circles highlighted with red colored pota stones. It featured the glorious story of our past traditions. Delicate yet royal look for a special occasion.